groundfloorenteprises | The greatest WordPress.com site in all the land! when you think about starting and maintaining your business. multiple place’s at once? How do I reach my target audience? Who is my target audience? RESEARCH!! RESEARCH!! RESEARCH!! AND MORE RESEARCH!! There many tools available to you but you have to know what your looking for also. automaton:a moving mechanical device made in imitation of a human being. Product:an article or substance that is manufactured or refined for sale. All of these things are tools you will need to employ on your journey to building a successful business model online. Nothing worth having has ever come easy, and this adventure will be no different. Fear and inactivity are two key component’s for disaster but these too can be over come. you along the way. Critical think is always necessary in anything we do. Greetings my name is Duane and first thank you for your time. 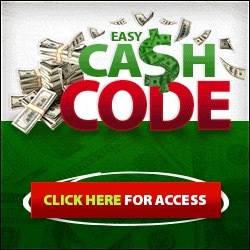 Easycashcode is a training platform that can give you the tools too create a lucrative business and teach you how to advertise and market your business/brand. Online businesses have grown exponentially over the past 10 years and taking charge of your own destiny is the emphasis behind this surge;technology is fueling the charge and need to create multiple streams of income. If you can answer these questions you can excel on this platform. 2. Would you be willing to fund your own future? good day folks, I want to talk a little about oil pulling today and some of its benefits. I have been reading and watching videos on the benefits of oil pulling and the different oils people are using to do this technique.I chose coconut oil because it was inexpensive and I can buy it locally at many stores in my area. First coconut oil will stay solid below 76 degrees so it can also replace any petroleum products used on your skin, using for pulling in your mouth has multiple benefits like ;keeping your breath fresher, fighting plaque and pulling toxins from your mouth. I started doing this last week and have seen great results so far even getting rid of a forming abscess in two days from the oil pulling. You should do it 20 minutes per day with the most effective time being in the morning. My teeth are cleaner and smooth since starting this . I’m even starting to feel better since starting this, not as sluggish as I was before starting. I have also been looking at sesame seed oil which is lighter in texture to do this too but for now coconut oil is doing the trick. Stay tuned for a follow up on this topic. CLICK ON THE PICTURES TO PLACE YOUR ORDER!!!!!!!!!!!! These phones are unlocked and ready for purchase from a trusted source; AMAZON.